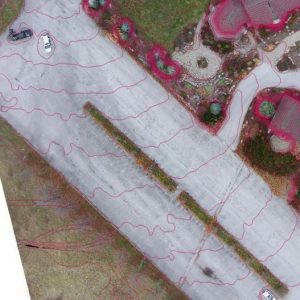 One of the things we find fascinating at Droneboy is the intersection of existing practices and the application of drones. 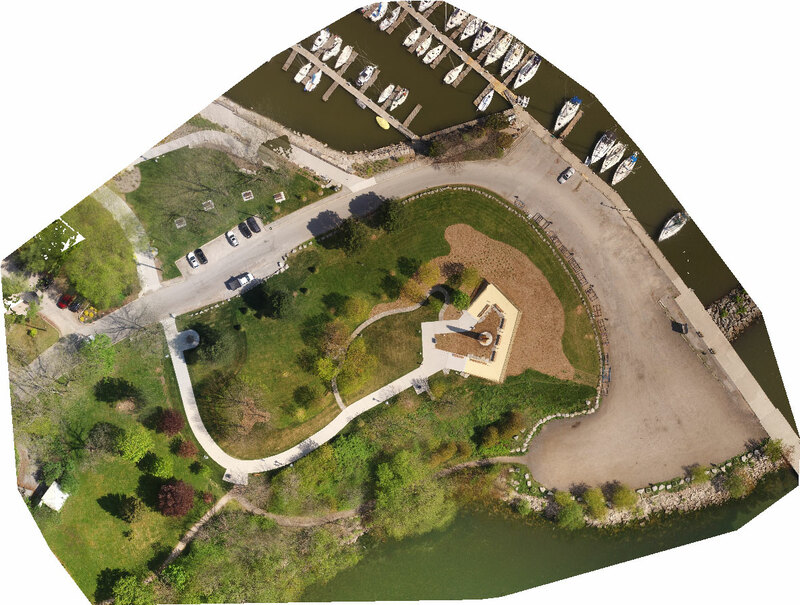 Photogrammetry is one of those well established practices that is undergoing a monumental shift in its application as a result of drones. 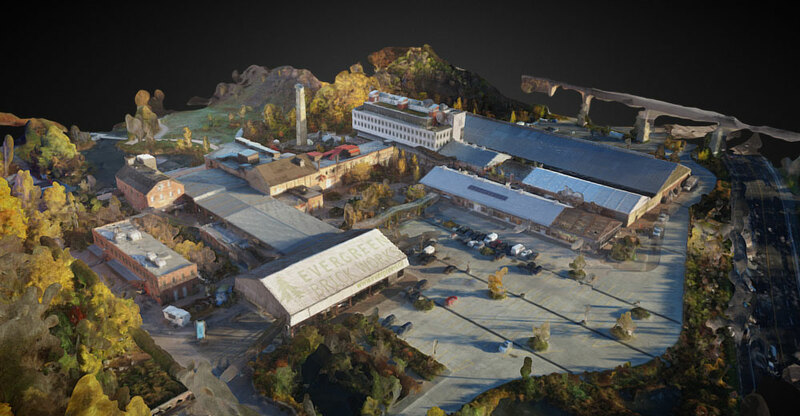 The science of photogrammetry is not new and it can be used to perform measurements such as calculating distance, grade, volume, etc… using photographs of large scale projects (eg construction sites, buildings, stockpiles, etc…). 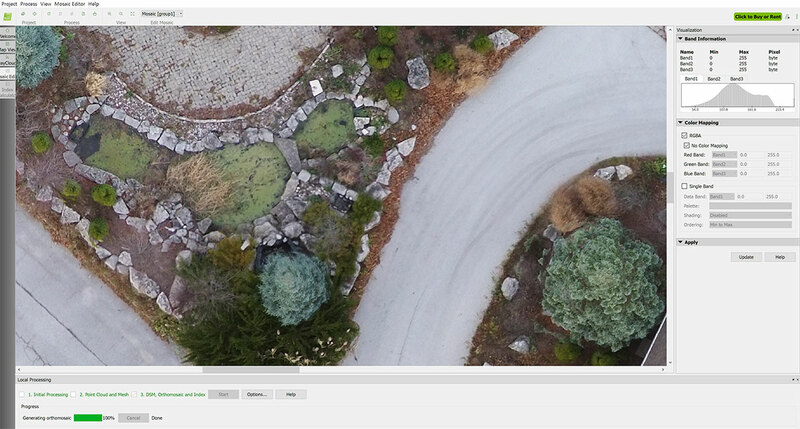 Drones are great at taking pictures of large scale objects and areas. 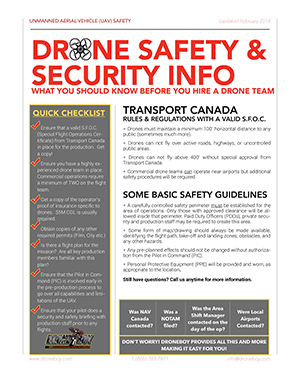 Put the two together and you discover a whole new set of uses and applications. 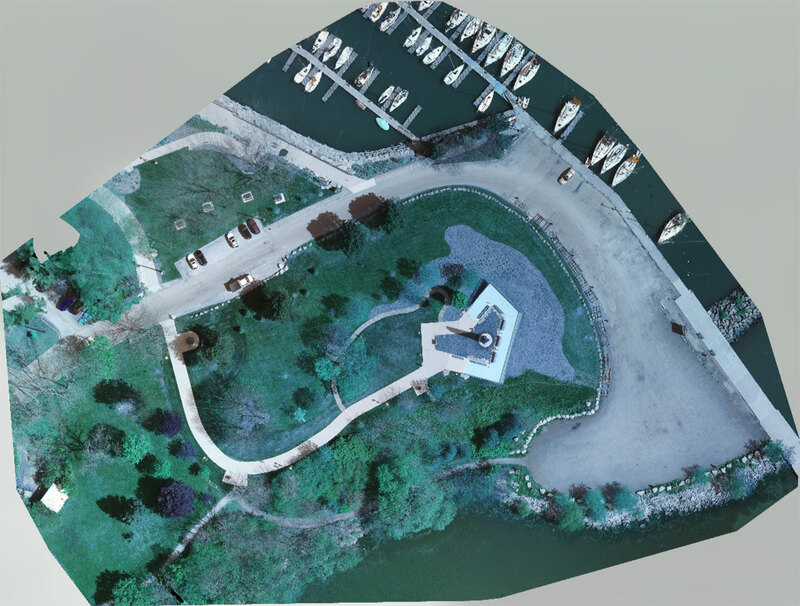 By analyzing multiple photographs of an object or area, sophisticated software running complex algorithms is used to identify 10’s of thousands of common points across images, link them together and actually recreate a 3 dimensional representation from the original 2 dimensional images! 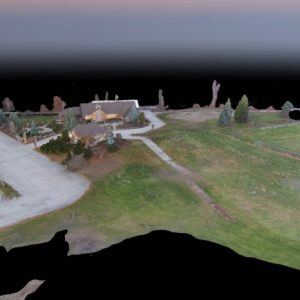 The accuracy is such that you can actually use the resulting 3D image that is created to perform very accurate distance, area, volume and grade measurements as well as show elevation changes. 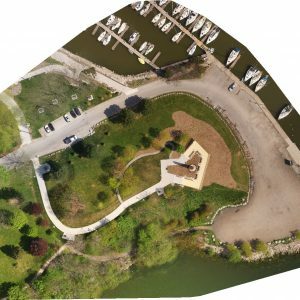 At Droneboy, we can cater to your aerial photogrammetry needs. 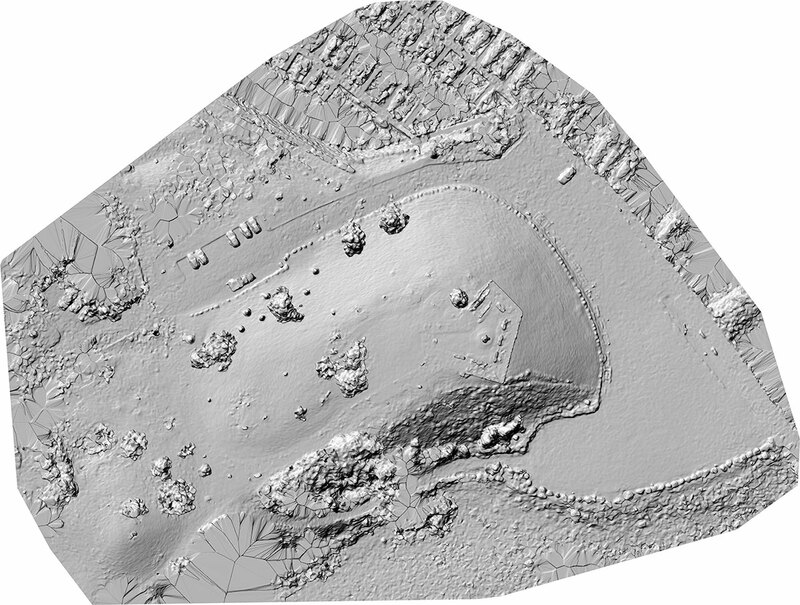 These are highly accurate, super large scale composite images of an area. 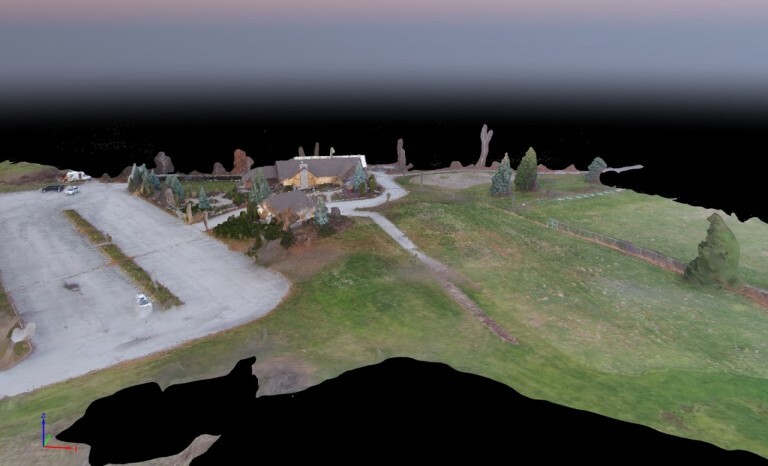 Think of a panorama photo of your project which contains so much information you can zoom in to every detail of the image. 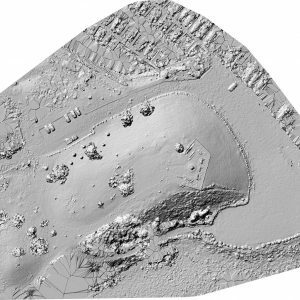 It also contains location coordinates of millions of points so you can perform distance, area and volume measurements with accuracy of better than 5cm/pixel. 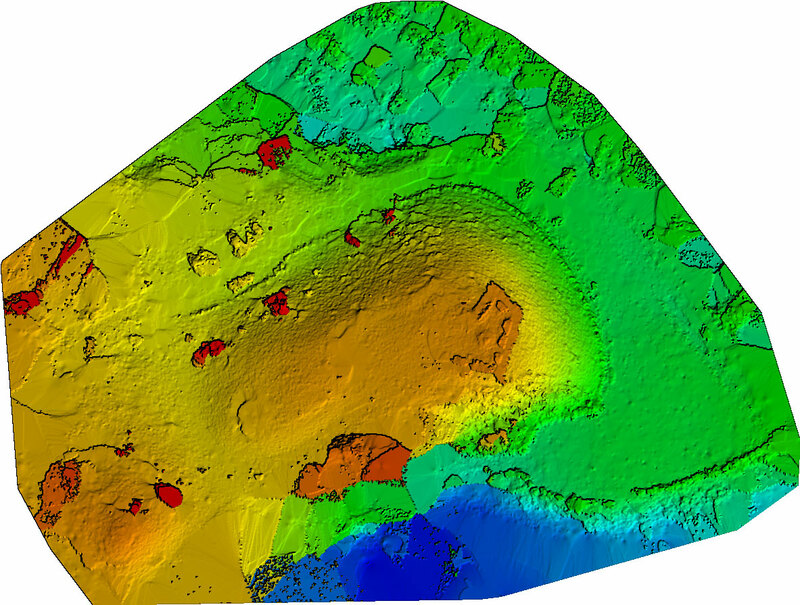 This is a way of representing the data that is captured to highlight height variations, contours, grades in an easily recognizable format. 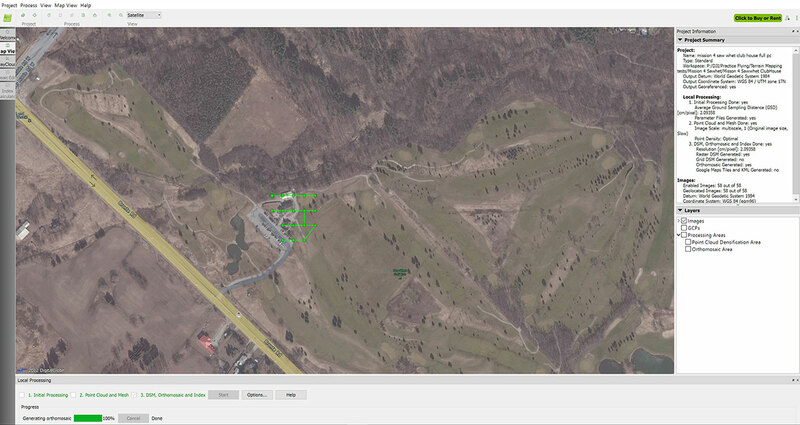 We can generate output files which serve as input data for your GIS process. 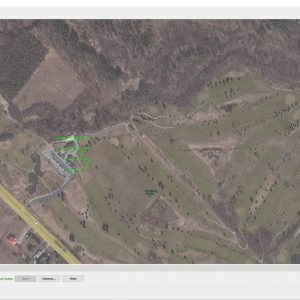 Whether you use ArcGIS, Global Mapper, Quantum GIS, etc…, your in-house experts will be able to use the files for further GIS processing. 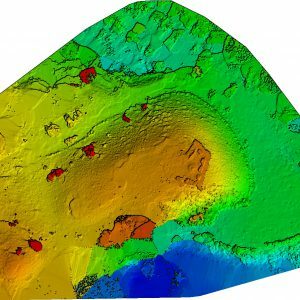 Maps in various formats can be generated with great accuracy and can incorporate contour lines based on your specific requirements. 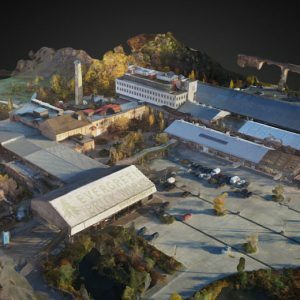 These 3d images enable you to view your project be it a construction site, building or monument from any angle giving you a completely new way to interact with the image. 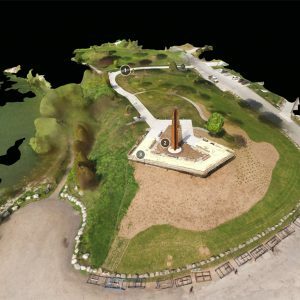 We can even generate 3D animated fly-byes to provide a truly unique view of the project. 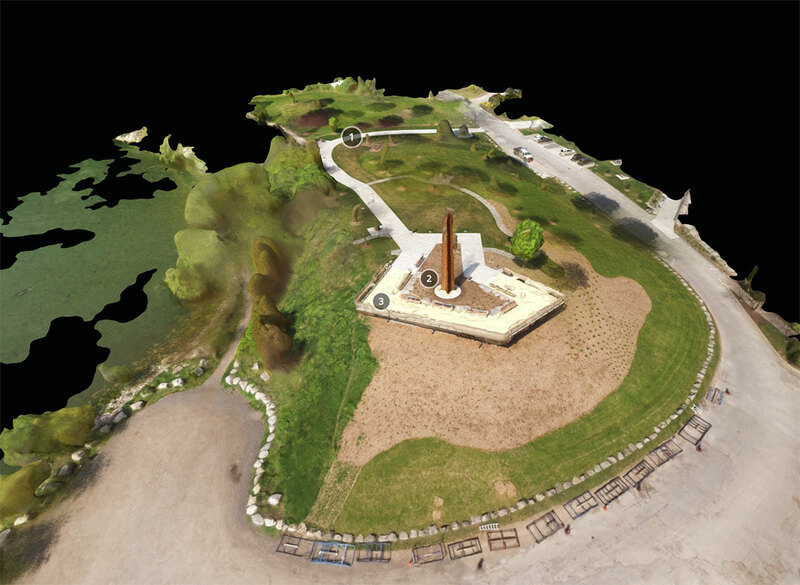 You have likely seen results of this process for instance in Google’s 2D and 3D Maps. So what has changed? 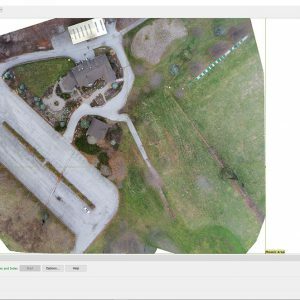 Well, by using drones as a tool to capture the original images, we now have the ability to create that map or 3 dimensional representation of your project as it looks today, not as it looked 2 years ago when Google came by! 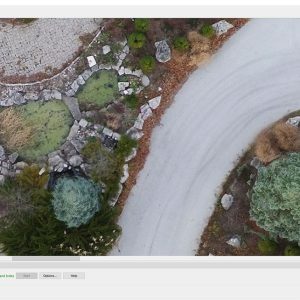 Even better, if you have a large ongoing project, we can collect images yearly, monthly, weekly or daily to show the progress of the project thereby eliminating the need for remote site visits by multiple people. 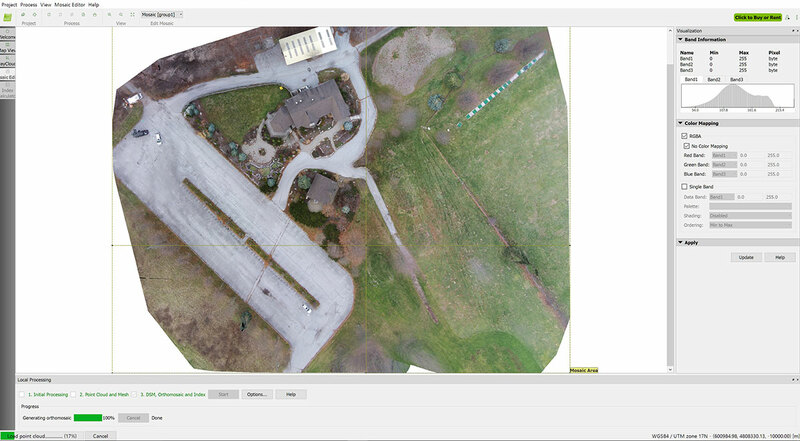 Drones are a very time and cost effective tool for collecting aerial images of large objects and areas <1000 acres. 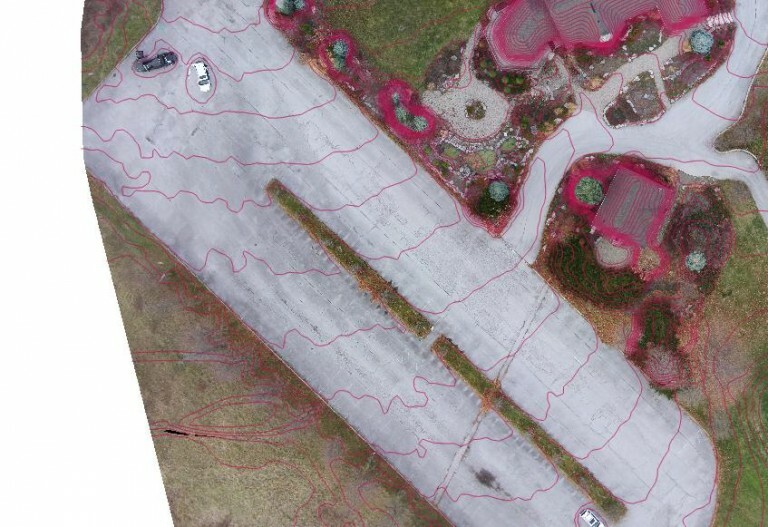 We at Droneboy believe that by taking this new image capture capability and leveraging advancements in photogrammetry software, that there is a whole new area of opportunity for our clients to reduce costs, improve timeliness of information, and manage projects to further their business.